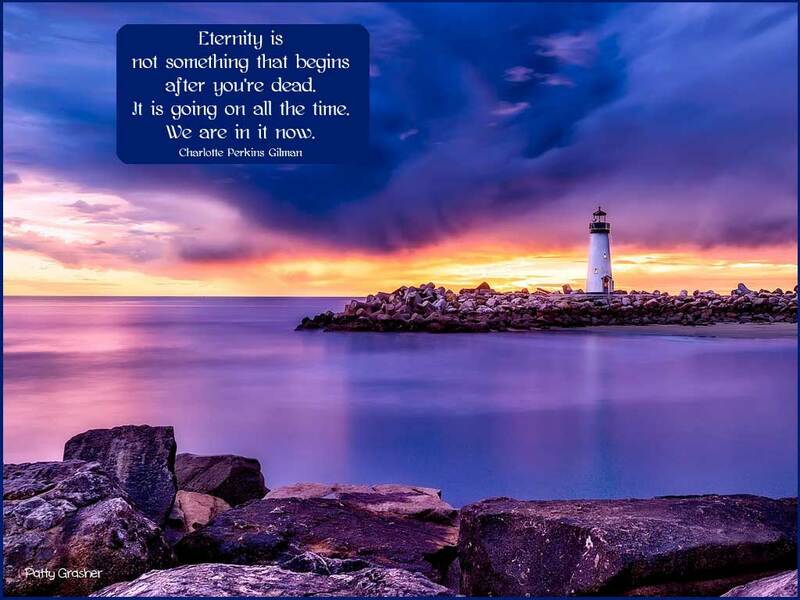 This week the theme is lighthouses and eternity. No reason except that I was having a few very serious soul searching moments and decided to go with it. Back to cursing this website update. Some things just don’t make sense. Part of it is they apparently have made it much more “easy for anyone to do” and as a result it is harder for those who were doing just fine the way it was . . . not figuring it out at all. Hiss. Growl. Snarl. The above paragraph is centered. I didn’t ask it to be centered. I tried to tell it not to be centered. But every time I start a new paragraph it goes to being centered. So every time I have to deliberately hit “left align”. Is this crazy? Today we are getting some actual snowflakes. Buddy had to go out even though I told him he was not going to like it. Out he went. Two minutes later. Back he comes. I told him so. . . Update: Three minutes later and he is moaning to go back out. That’s my life. Let the cat out, let the cat in. 2. Two days ago Jon looked out the window just in time to see three big raccoons going across our back yard. I saw them too though they didn’t stay long enough for me to take a picture. Very inconsiderate. 3. Working on building a new Pinterest site for business. Slow going but fun. This picture was taken last fall. 35 The Quilt RoomThis was a FUN puzzle to do. Lots of colors. LOL… welcome to computer programming where each new programmer has to input their own ideas into the program. Frustrating I know.. but remember, calm.. calm.. calm… oh drat, just to pet the babies! Have a better day today! 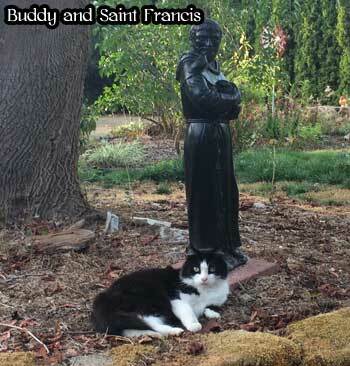 Buddy and St. Francis hanging out together, so cute.